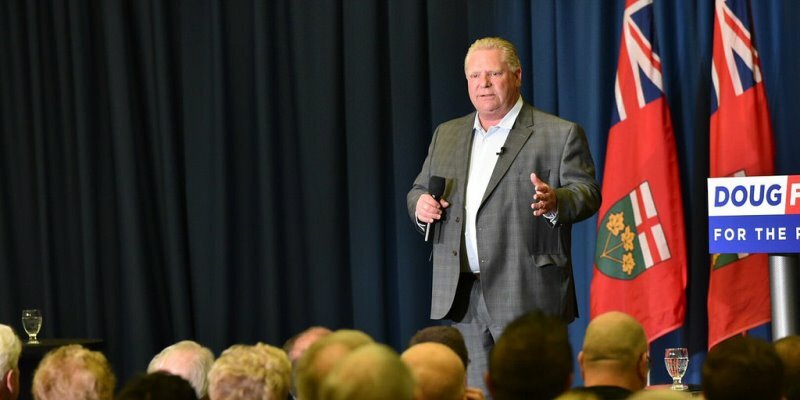 Ontario Premier Doug Ford has repeatedly promised to cut hydro bills in the province. During last spring’s election campaign, he pledged to reduce hydro rates by 12 per cent—on top of the 25 per cent rate reduction introduced by the then-governing Liberals. However, despite repeated promises, the Ford government failed to meet its own proposed deadline of Jan 1, 2019 for lowering electricity prices, meaning Ontarians still struggle to afford today’s high prices. To make matters worse, recent rate hikes by several local power utilities will likely exacerbate the issue. To date, the Ontario government has implemented some policy reforms that will help mitigate future electricity price increases, which is a step in the right direction. It recently scrapped the Green Energy Act and cancelled future contracts with renewable generators. But again, while these actions will mitigate future increases, they will do little to reduce current electricity prices. If the Ford government is serious about slashing electricity prices for current ratepayers it has options. But questions remain about whether it’s willing to act. How can the Ontario government reduce prices? According to a recent study, the government must reduce what’s known as the “Global Adjustment”—an extra charge on electricity. To understand how the Global Adjustment relates to Ontario’s skyrocketing electricity prices, look no further than the 2009 Green Energy Act and its schedule of subsidized electricity-purchase contracts called “feed-in-tariffs.” These contracts provide long-term price guarantees of above-market rates to generators of renewable energy (wind, solar, bio-energy and some hydro). To fund these subsidized contracts and other system costs (including expanded conservation programs), Ontario attached an extra charge to electricity prices—the Global Adjustment (GA). Power prices soared since 2009, not because electricity costs more to generate, but because the GA has risen dramatically. Crucially, the largest component of the GA charge—nearly 40 per cent—funds subsidies paid to renewable energy sources (wind, solar, etc.) under feed-in-tariff contracts, yet these sources only provide seven per cent of Ontario’s power output. And the GA provides almost 90 per cent of revenue earned by renewable generators, with only 10 per cent coming from actual power sales. This overwhelming reliance on government subsidies (paid by ratepayers) rather than actual electricity sales reveals how distorted the pricing structure has become in Ontario. Clearly, if the Ford government is serious about reducing electricity rates, the next logical step would be to use its legislative power to cancel or renegotiate existing feed-in-tariff contracts. It won’t be easy, but estimates indicate that canceling the subsidized contracts could reduce electricity prices by about 24 per cent. This would be welcome news for Ontarians, as electricity prices increased 71 per cent from 2008 to 2016, far outpacing electricity-price growth in other provinces. To address Ontario’s skyrocketing electricity prices, tough decisions are required. It’s time for the Ford government to set a new course and enact meaningful reforms for current and future ratepayers.